GIScience News Blog » Blog Archive » How can LiDAR data help to understand early Olmec subsistence in Mexico? From their beginnings some 4,000 years ago to their decadence around 400 b.c., the Olmec people achieved a high level of sociopolitical complexity and dominated their native geographic territory, the southern Gulf Coast of Mexico. The first Olmec capital of San Lorenzo, Veracruz, was the only site in Mesoamerica that produced imposing monumental stone sculpture and architecture between 1800 and 1000 b.c. These characteristics reflect the capabilities of its centralized political system headed by hereditary rulers with divine legitimation. Key issues regarding the development of San Lorenzo Olmec culture center on subsistence and environment. The present study focuses on a portion of the landscape located immediately north of the first Olmec capital of San Lorenzo, Veracruz, that has been proposed as a key resource area during the development of the first civilization in Mesoamerica. We calculate the surface, volume, and water depth of this area based on archaeological data and a Digital Terrain Model (DTM) derived from an airborne Light Detection and Ranging (LiDAR) survey. 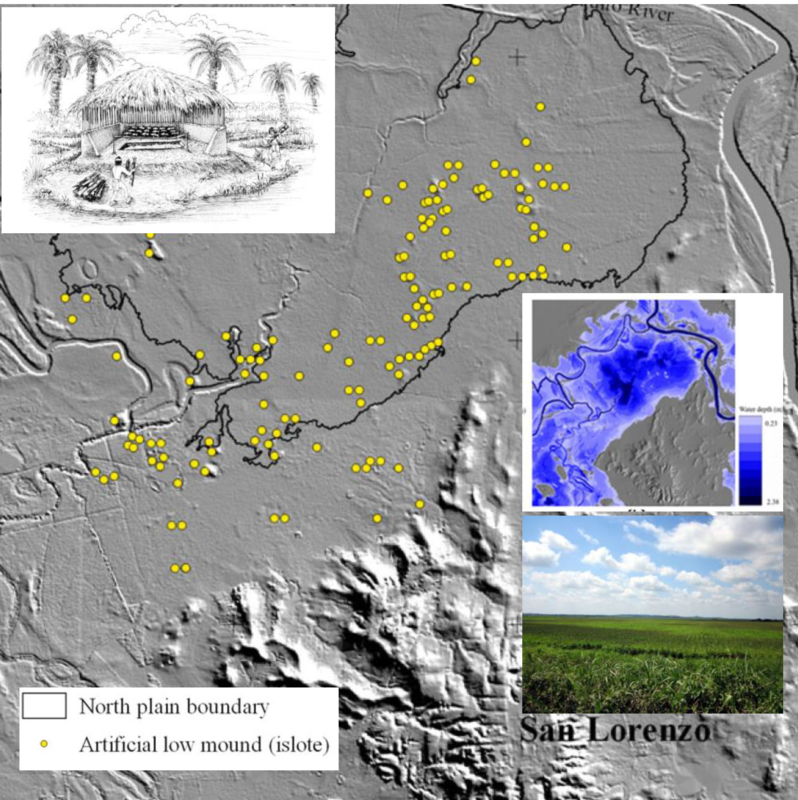 The expected minimum and maximum area, local minimum altitude, and the DTM of 5-m spatial resolution provide a basis for inferences regarding the characteristics of the wetland ecosystem during Olmec times. The goal is to quantify and qualify the potential of this resource zone relying on LiDAR topography. Our models validate the observations in the field and, when combined with algorithms, they confirm the archaeological conclusions. We affirm that the northern plain in Olmec times was deeper than it is today and would have been a source of abundant aquatic resources for the primary subsistence of the early Olmec society. Ramírez-Núñez, C., Cyphers, A., Parrot, J.-F. & Höfle, B. (2019): Multidirectional Interpolation of LiDAR Data from Southern Veracruz, Mexico: Implications for Early Olmec Subsistence. Ancient Mesoamerica. Cambridge University Press.